The corner myopic and shortsighted? Rite Aid’s mobile payment policy calls it home. Your pharmacy is always open? Not, dear iPhone owner, if that pharmacy is CVS. 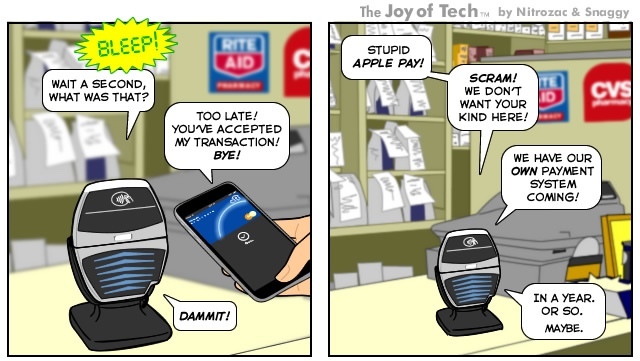 Why can’t iPhone 6 and iPhone 6 Plus owners use Apple Pay at CVS or Rite Aid? It’s all about a little thing called power. “Clearly Rite Aid and CVS are making a business decision over a customer satisfaction decision,” Patrick Moorhead, president, Moor Insights & Strategy told the New York Times. What’s that Rite Air, CVS — you don’t still get it? Maybe the credit card company guy, the one who’s been to the future, can make it clear. 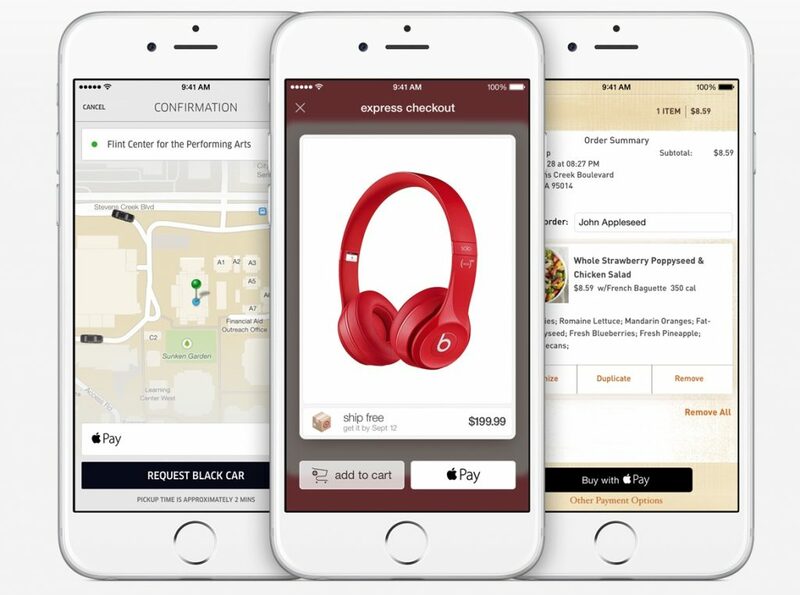 — Apple Pay is the most convenient, most secure, and what’s best for consumers. That’s what will win out in the end. — Rite Aid and CVS have been accepting contactless payments for quite a long time. We look forward to them turning the functionality back on in their stores. — We think consumers should have the ability to pay any way they want. Still don’t get it, CVS and Rite Aid? When the credit card company calls you out for being jerks, you should probably sit up and listen. Click through for the rest of this and other excellent tech inspired comics from The Joy of Tech. The bottom line is that CVS, Rite Aid, Walmart and other retailers are working to launch their own mobile payment solution CurrentC, and they see Apple Pay as a competitor. While no one’s seen CurrentC yet, it is perhaps obvious that CVS, Rite Aid and Walmart view Apple Pay as the superior payment system. The drug store that loves iPhone owners? Walgreens, which welcomes Apple Pay. Should CVS and Rite Aid, as MasterCard’s Ed McLaughlin suggests, put customers first and turn Apple Pay back on? Or, is shutting out the competition the right business decision?